I love the collar on this dress, a nice and neat roll. I’ve never been one for frills and flounces and as for ribbons, I’d rather….we’ll I’d rather do most things than sew a ribbon bow onto anything! So, this dress is right up my street, clean lines and a neat finish. I followed the Oliver + S tutorial for sewing a chain button loop, however having watched the Great British Sewing Bee the other week I think I could have done a better job of it. It’s a bit loose and flimsy looking, but it does the job so I’m not about to un-pick it! 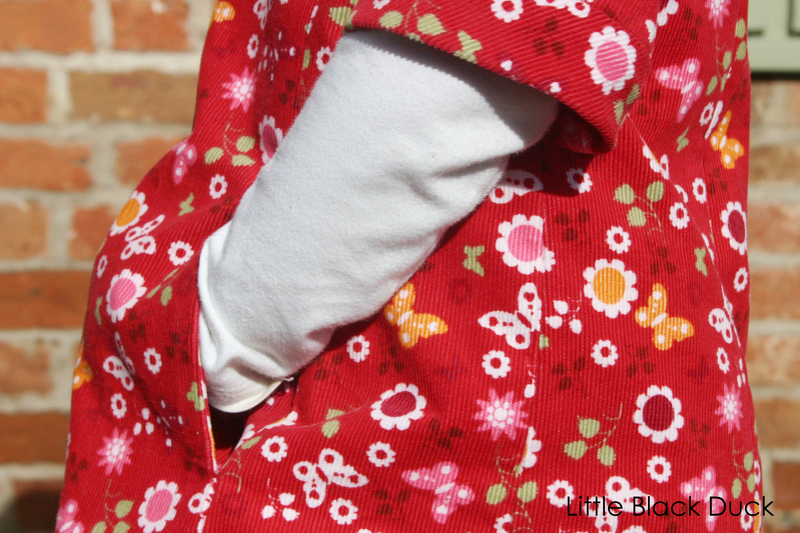 Emily loves the kangaroo pocket, perfect for keeping all sorts of little bits and pieces and warming up chilly hands! Check out the lining! Emily’s favourite colour is Orange so I couldn’t resist picking out the orange of the butterflies with an orange lining. 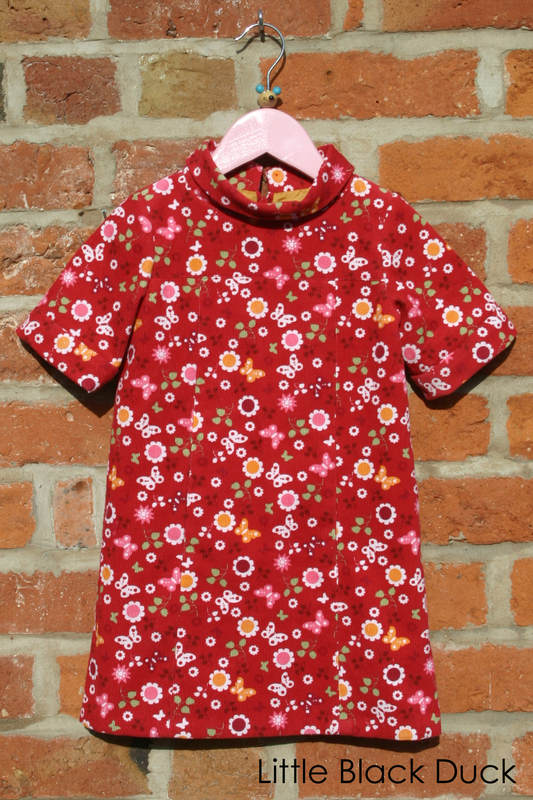 Have you sewn the Oliver + S School Photo Dress? Leave a link in the comments, I’d love to see what you’ve made! The newsletter is a great way to keep up to date with new patterns, why don’t you sign up? It’s on my to do list! Yours is really lovely! Thanks! Have you checked out the Olive+S flickr group? There’s lots of inspiration! The School Photo Dress is my favorite Oliver+S sewing pattern. This one turned out wonderful and how nice of you to accommodate her favorite color.